The Alfred Dunhill Links Championship is the European Tour’s version of the venerable AT&T Pebble Beach National Pro-Am (formerly the Crosby). Each team consists of one amateur and one professional. A 54-hole cut is made of the top 60 professionals, and leading 20 pro-am teams. The three course rotation consists of The Old Course at St Andrews, Carnoustie and Kingsbairn. St. Andrews hosts the final round. Originally called the Dunhill Links Championship, the event was introduced in 2001 as a replacement for the Alfred Dunhill Cup. That three-man team tournament became irrelevant when the long established World Cup of Golf was given enhanced status as part of the World Golf Championships in 2000, becoming the WGC-World Cup. 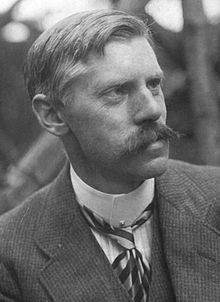 Alfred Dunhill (30 September 1872 – 2 January 1959) was an English entrepreneur who made his fortune in tobacco and luxury goods. He was the founder of both the Alfred Dunhill luxury goods company (which sponsors the tournament), and Dunhill tobacco products (a separate company). Dunhill began by manufacturing accessories for cars, eventually developing a pipe designed for drivers. This led him to open a tobacco shop in Mayfair. After expanding to New York and Paris, Dunhill went into the production and sale of so-called luxury goods. Today, Alfred Dunhill, Ltd. the sponsor of the Dunhill Championship, is specializes in ready-to-wear and custom menswear, leather goods, and accessories. 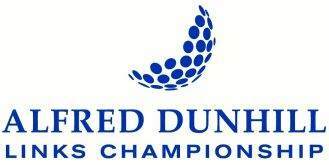 The Dunhill company also sponsors the Dunhill Links Championship, which is played in October.